Yet another shameful mark against the manufacturers of chemical antidepressants, and another knock against the fallacy that is the chemical imbalance theory of depression. 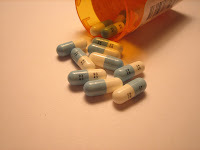 New reports disclose that almost one third of antidepressant drug studies are never published in the medical literature, and that virtually all of those that are hidden happen to show the drug being tested did not work. The scandal doesn’t stop there. In some of the studies that were published “unfavorable results have been recast to make the medicine appear more effective than it really is”, says the study’s lead researcher Erick Turner of the Oregon Health & Science University (see the full study, here). He goes on to say, “Not only were positive results more likely to be published, but studies that were not positive, in our opinion, were often published in a way that conveyed a positive outcome.” As an example, of five studies relating to Pfizer’s Zoloft, three showing the drug to be ineffective were never published. And according to the report, “A fourth study, ruled questionable by the FDA, was written and published to make it appear that the drug worked.” Purely scandalous! I spend a lot of ink on the fallacy of the biochemical theory of depression in my upcoming book, The Six Keys to Optimal Health. Even without this new information I pretty much dismantle the rationale and the practice of widespread antidepressant use in our society. I truly feel this is the number one public health danger of our generation. A lot of people have a lot of emotion attached to this issue. Sorry folks, the science is just not there, no matter what the popular information machine and the so-called authorities have been telling us–and this new report proves it, plain and simple. Expect much more truth about popular (and dangerous) antidepressant drugs to be uncovered in the near future. Sure looks like this deception is swaying on a house of cards.